Manmohan Gave 4 Advice To PM Narendra Modi - Keep Dignity Of The Post: Among the declining linguistic levels in politics, the former Prime Minister Dr. Manmohan Singh has advised PM Narendra Modi to maintain the dignity of the post. In addition to maintaining the dignity of the post of PM Modi, Dr. Singh advised to exercise restraint, maintain good relations and maintain good relations with the Chief Ministers of non-BJP ruled states. On the occasion of the release of Congress leader Manish Tewari book 'Fables of Fractured Times', Manmohan said that my advice to Prime Minister Narendra Modi is to maintain the dignity of the prime minister while maintaining restraint. Former Prime Minister Manmohan Singh said that Modi should exercise restraint while visiting non-BJP ruled states. Dr. Singh said that Modi should set an example through his conduct which is in line with the Prime Minister's ethics. 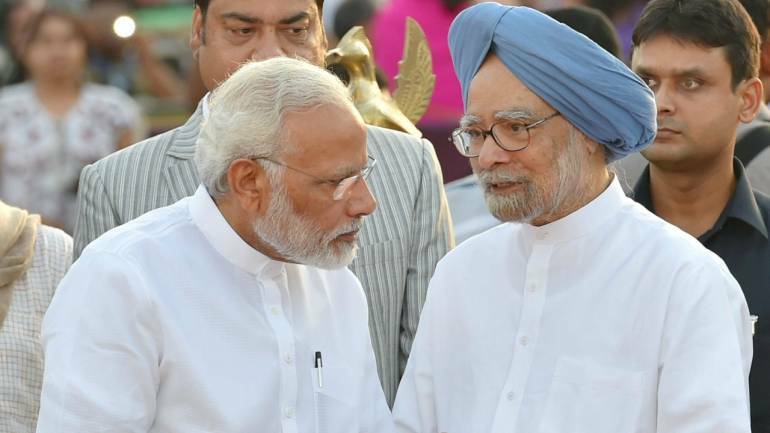 Asking the Prime Minister at the time when the level of public debate is declining, especially during the elections, Manmohan said that when he used to visit BJP-ruled states as Prime Minister, his Chief Ministers Relationships were 'very good'. He said that Madhya Pradesh Chief Minister Shivraj Singh Chauhan will confirm his claim that there was no discrimination with BJP-ruled states during the UPA regime. On the 10th anniversary of the terrorist attacks in Mumbai on 26/11, he said that I hope that some sensible elements will emerge between India and Pakistan to curb terrorist activities. They also noticed that what is happening in Kashmir is an indication of the sufferings which have a bad connection between these two countries. Former Jammu and Kashmir Chief Minister Dr. Farooq Abdullah were also present on this occasion. He said that Nehru had leveled the post of PM, Modi has dropped him.